You might want to start hanging out at your local supermarket after you read this one. As part of the series Billy on the Street, Metallica surprised employees and shoppers at an LA grocery store with an impromptu version of their classic hit “Enter Sandman”—and it was every bit of awesome as you'd think. Check out the video below (via TMZ) and let us know what you think in the comments. 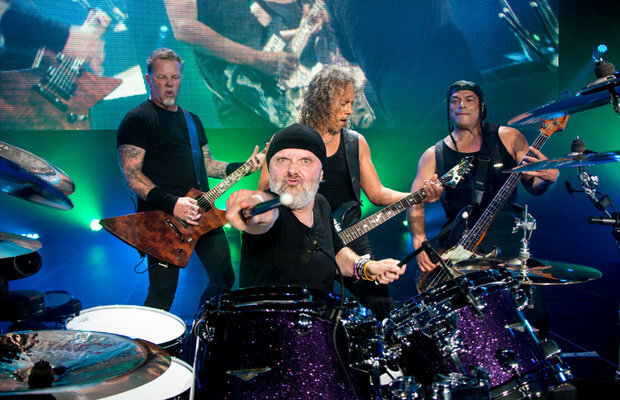 Metallica released their newest album, Hardwired… to Self-Destruct, in November and have alluded that they will be touring the US in 2017—making it the first time in seven years.